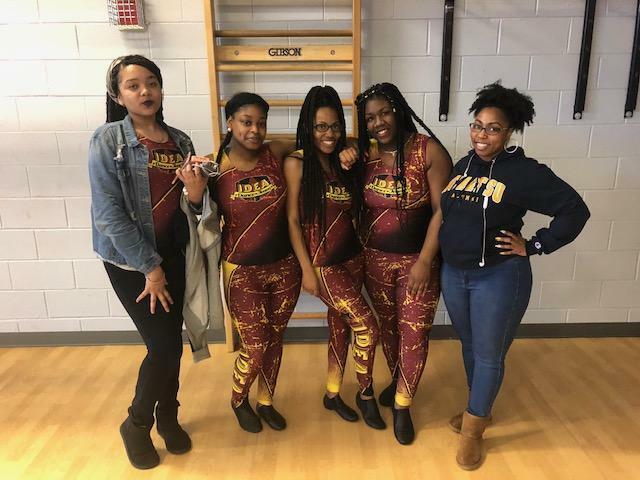 IDEA's new dance team performed for the first time at the recent scholars vs. staff basketball game, to an enthusiastic audience. The members of the team are London Clarke, Donnita Hackett, Yuanise Hill, and Shania Jordan. Shaniya Gibson is the team manager. The team is currently accepting new members. Interested scholars should contact Ms. Green at tgreen@ideapcs.org or in her classroom. Dance practice is Mondays, Tuesdays, and Thursdays from 4pm-5:30pm. Watch for the dancers' next performance at the April 3 Women's Day assembly!